Air Force Captain Kermit O. Evans, 31, of Hollandale, Mississippi, was assigned to the 27th Civil Engineer Squadron, Cannon Air Force Base, New Mexico. 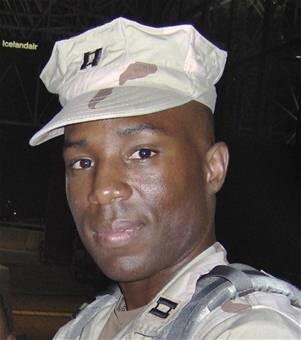 He was serving as an explosive ordnance disposal (EOD) engineer under Operation Iraqi Freedom. He and three servicemen died when the Marine Corps CH-46 helicopter they were riding in made an emergency water landing in the western Anbar province. Capt. Evans’ son is a Folds of Honor scholarship recipient.